Brand new Allegro Central Vacuum system: model MU4200 CLASSIC. This unit comes direct from the factory, has never been used, is still new and in its original box. 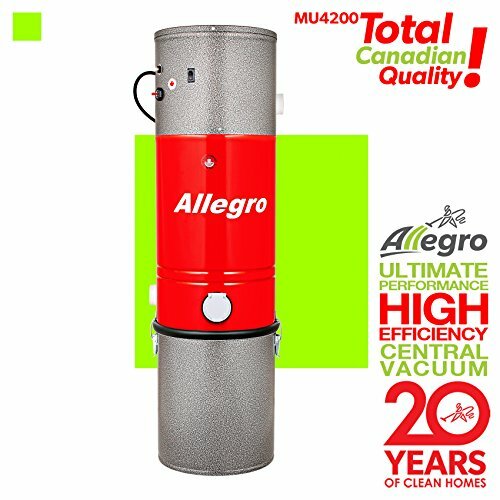 This heavy-duty all-steel construction powerful Allegro Power Unit uses a full-size canister and is ideal for homes up to 3,000 square foot. For more information, see our technical specs below for a full comparison to our other Allegro products to see if the MU4200 is right for you. 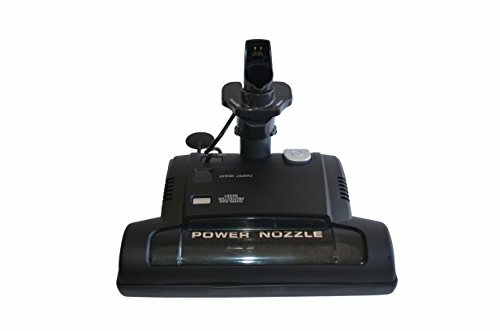 MU4200 comes with a 5 YEAR Manufacturer’s Warranty! 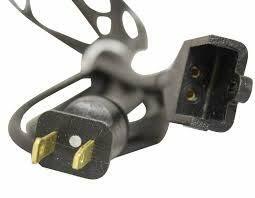 Construction: All metal construction with heavy duty 22 gauge steel. 20 liter (5 US gal.) metal dirt pail. Dimensions: 12 inch diameter x 40 inch height. Filtration: Self-cleaning no maintenance patented Fibro-Tex Filtration Systems . This permanent filtration system never needs to be replaced, or washed, and there are no expensive filter replacement costs. Finish: Primer and Environmentally friendly Electrostatic Powder coat. Guaranteed for life against corrosion perforation. Exhaust: The unit is fully ventable to the outside. Up to 12 Ft exhaust line with standard 2″ PVC Central Vacuum Pipe. Excellent end of hose performance and ideal for homes up to 3,000 sq. ft. (300 m2). Motor: Ametek Lamb, 2-Stage, 5.7″, single speed bypass with double ball bearings, 10 mm shaft and bearing system for extra structural rigidity. 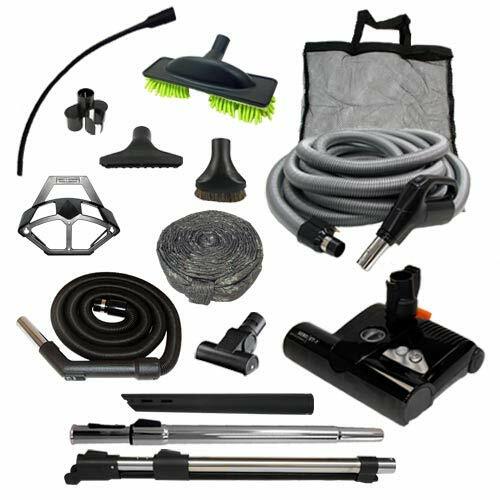 Brand: Allegro, Model: Classic, Product Information: Central Vacuum Systems, MPN: MU4200, Dirt Capture: Bagless, Tank / Bag Capacity: 5 gallon, Cleaning Areas: 3,000 sq. foot, Voltage: 120, Amperage: 15.7, Consumed Power: 1855, Number of Motors: Single, Motor Size: 5.7 inch, Motor Fan Stages: 2, Air Watts: 550, Waterlift: 125 inch H2O lift, Airflow: 121.0 CFM, Filtration Technology: Micro Fibre, Filtration Efficiency: 99.8%, Sound Level: 69 dB(A), Body Diameter: 11.25 inch, Body Height : 39 inch, Weight: 32 lbs, Color: Red.